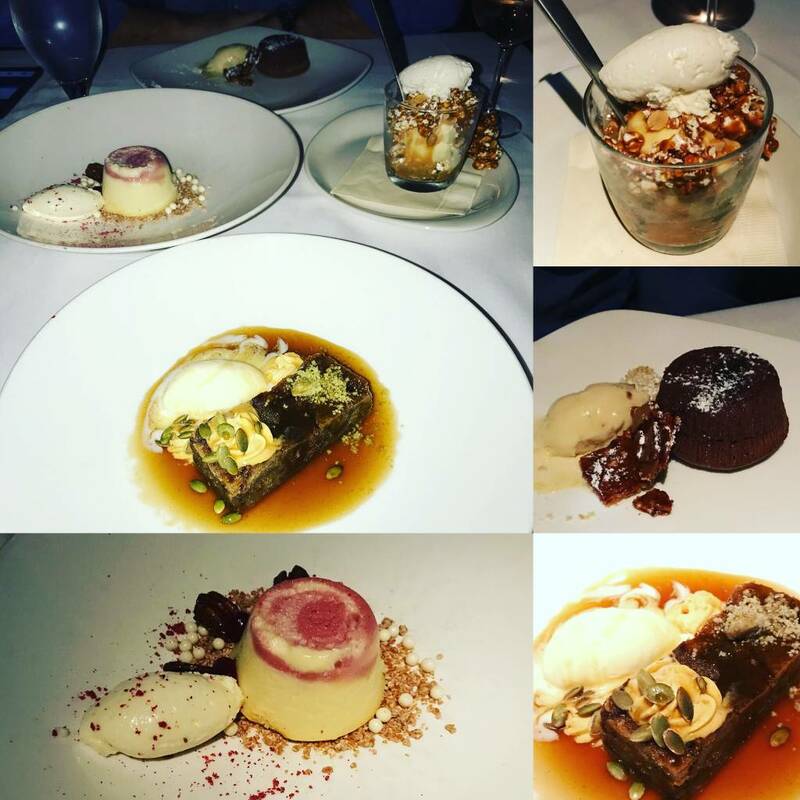 We had the pleasure of dining at Canoe restaurant and sampling many of their amazing desserts! We also may have indulged in a "few" servings of the house made bread. YUM! Pumpkin Bread Pudding, Crème Fraîche Ice Cream, Pumpkin Seed Streusel- The warm pumpkin spice bread pudding was delicious. Make sure you pour the warm maple syrup all over it right before you dig in. Maple syrup+Creme Fraiche Ice Cream+Pumpkin Bread pudding=YUM! Cranberry – White Chocolate Cheesecake, Cranberry, Pecan, Mascarpone- The cheesecake was so yummy and light! It was garnished with Freeze Dried Cranberries which gave a nice texture to the dessert along with some yummy pecans! Popcorn Ice Cream Sundae, Canoe’s Cracker Jack- Absolutely delicious! Love the cracker jack texture incorporated in to the ice cream. Chocolate Peanut Butter Lava Cake, Bacon Praline Ice Cream- Yes BACON and Praline Ice Cream! YUM! The Chocolate Peanut Butter Lava Cake was AMAZING as well. Thank you to Chef Jennifer Paul and her team for taking special care of us! Everything was delicious!!! Here's a list of all her amazing desserts. Go try them all!